It's critical for a budding 3D artist — or any artist — to regularly show their work. You shouldn't isolate yourself when the computer graphics industry has a vibrant online community surrounding and supporting it. Getting involved in an online computer graphics community is the single best way for a novice artist to grow and improve. Nothing can take the place of honest-to-goodness hard work and practice, but a good solid critique (or compliment) from a peer goes a long way. Digital art can feel like a solitary pursuit, especially if you don't live in a media hub like L.A., Vancouver, or New York. Here are some of the best places on the web to get your artwork out there and make connections in the 3D universe. Forums are the heart and soul of the computer graphics world, and there are plenty of them. Most of the spots on this list have large, active memberships that manage to strike a balance between aspiring novices and seasoned professionals. More importantly, most of these forums have a section dedicated specifically to "show and tell," where artists can post works in progress and finished artwork and receive constructive criticism from their peers. CGSociety has an enormous 3D community, which can be good or bad — bad because it is easy to lose yourself in the shuffle but good because you're guaranteed to find an answer to your questions here. Beyond the forums themselves, CGSociety holds contests and workshops, regularly publishes production spotlights, and has a premium membership option that lets subscribers build a portfolio page through the site. It isn't a stretch to call 3DTotal the UK equivalent of CGSociety. The site has an extensive forum, a lively challenge section, training videos, and a well-stocked storefront with e-books, magazines, and reference figures. 3DTotal has fewer members than CGTalk, which makes it easier to land your work on the front page with a coveted "top-row" selection (you've still got to be pretty darn good though). While CGSociety and 3DTotal cater to the film and visual effects industry, Polycount focuses emphatically on game art. If you have your sights set on a job at EA or Bioware, this is where you should take root. ZbrushCentral is Pixologic's official community site, and as the name implies, the major focus here is digital sculpting in Zbrush. A lot of the work that is posted at ZBrushCentral also ends up at one or more of the other forums, but if you're trying to learn the digital sculpting ropes, this is where you want to hang out. CA isn't exactly a 3D forum, but where would the computer graphics industry be without concept art? ConceptArt is one of the premier forums on the web for artists who are interested in learning character, creature, and environment design. It's worth a look if you'd like to develop your digital painting skills alongside your 3D repertoire. The forums include a 3D Art and Sculpture section. DA is a massive community for artists of every variety. Hundreds of thousands of pieces of art are uploaded to DeviantArt every day, so it's relatively difficult to be noticed here unless you're actively promoting yourself and networking. That said, the 3D portion of the site receives fewer submissions than many of the other sections, so there's a pretty good chance you'll be able to get some eyes on your work. Every artist should at least maintain a presence at DeviantArt. Area is Autodesk's dedicated community site. The forums center around Autodesk software with an emphasis on 3D. If you're using Autodesk software and have a technical question, this is where you'll find your answer. The PARTcloud.net community has hundreds of thousands of members. They generate millions of downloads monthly and create interest through new features, 3D challenges, and interviews with active members. In addition to occasionally posting your work at 3D forums and communities, keep a sequential record of your progress. Blogs work well for this sort of thing. As far as blogging platforms go, Tumblr is quick and easy, and it has the added benefit of being significantly more social than some of the other sites, making it easier to connect with other artists. Instead of launching a blog, pick a forum you like and start an art dump thread. Create a thread, name it something awesome like "Justin's Mind-Blowing 3D Art," and post all your work there. Not just your finished pieces — all your work, including sketches, WIP images, loose concepts, test renders, and finished images. The more you post, the more comments and suggestions you get. 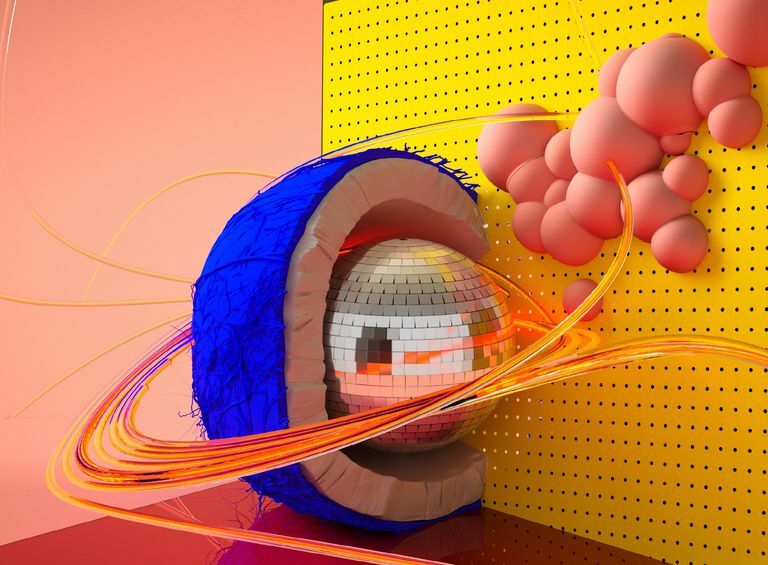 People are more likely to connect with a final render if they've been watching it progress from start to finish. Forum threads can be a hassle to navigate once they start to grow, but your work is much more likely to be seen by people that can help you improve if you post it on a forum instead of some forlorn blog in a forgotten corner of the internet.